You know we’d rather be reading than anything else. Unfortunately, the world doesn’t stop turning just for us to get in a few uninterrupted hours of reading. Life is complicated and sometimes we have to multitask to fit everything into our hectic schedules. Here are our favorite things to do while we read! Read while you beautify yourself! Slather yourself with a face mask and grab your book (make sure your hands are clean)! Reading is great for filling in the waiting time for our beauty regimens. Paint your toes, use a pore-cleansing strip, or do a deep conditioning treatment on your hair. Reading while cooking is the ultimate cozy night in combo. While food is in the oven for 45 minutes or while you’re waiting for your cookie dough to harden up in the fridge, grab a book and enjoy the waiting time. You can clean up later when you have a TRL list to tackle. Listen to music while you read! While song lyrics might be distracting, there are lots of different genres of music that lend themselves perfectly to being paired with a book. Try ambient music like Tycho or Brian Eno to make your reading experience even more rich. 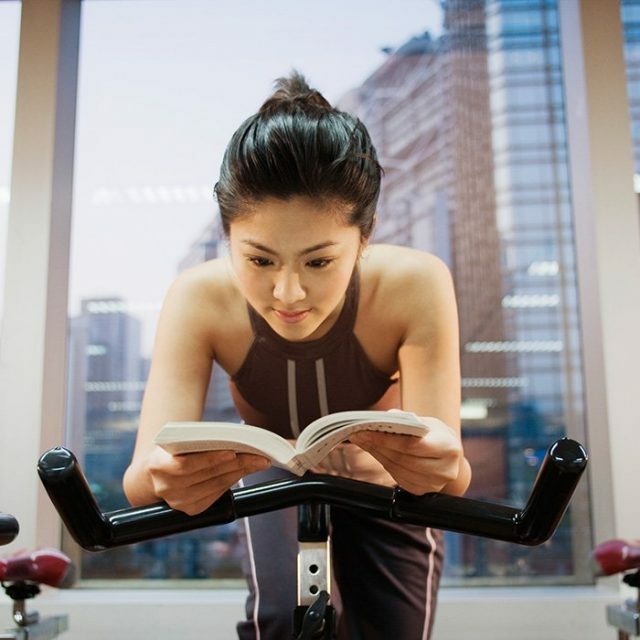 You can do some light stretching or a full on HIIT routine while you read! We recommend at least trying out 10 or 15 minutes in a yoga pose with legs up against the wall to keep your body supple while you indulge in your reading habit. If you are listening to an audiobook, you’re able to go hands free and do all sorts of awesome activities! One of our favorites is to kill two birds with one stone and get in some therapeutic coloring while we listen to a book. We love technology. If you take the train or bus, reading while commuting is literally the best use of your time. Read to distract yourself from the horrors of public transportation and escape into a book. Just don’t forget your stop! Either solo or with your cuddle buddy, reading while cuddled up in blankets is basically the best thing you can do with your time. Relaxing and taking in a book while cocooned in fluffy goodness is more refreshing than a nap and more gratifying than winning the lottery. What do you do while you read? Previous articleThe National Book Awards Longlist For Fiction Is Here!